Hunger strikes: What can they achieve? A well-known Indian activist has been arrested ahead of a planned hunger strike in protest against a new anti-corruption law. But how effective is a hunger strike as a political statement? Hunger strikes have been staged for political reasons throughout history. One of the first recorded is in ancient Indian scriptures, which talk of the brother of the exiled King Rama using the threat of a fast to coax him into returning. He placed himself on a bundle of sacred grass at his feet and refused to budge. On this occasion the "hunger strike" failed. But the concept persisted - indeed, in pre-Christian Ireland, it was part of the legal system. If a man felt wronged by you and starved himself to death on your doorstep, you had to bear the burden of his debts. Unlike other protests, a hunger strike has no direct effect on the intended target. The protester suffers, not the person protested against. The protester relies on the moral force of their actions, or the publicity value, to achieve something. The idea of hunger as political protest has experienced a renaissance in the recent past, says Prof Sharman Apt Russell, author of Hunger: An Unnatural History. It was revived by the suffragettes in the UK at the beginning of the 20th Century. In July 1909, when a doctor asked jailed suffragette Marion Wallace-Dunlop what she would eat for dinner, she replied in defiance: "My determination." Gandhi is arguably the most famous hunger striker in history. Republican prisoners in Northern Ireland highlighted their cause by staging hunger strikes in 1980 and 1981. "It has become an established cultural form of seeking justice in the 20th Century," says Prof Russell. She warns that a hunger strike needs the oxygen of publicity but interest will wane if the cause at stake does not withstand public scrutiny. Hunger strikes have been used by both violent and non-violent movements, and some have been more successful than others at bringing about change. Michael Biggs, a sociologist at the University of Oxford, says some of the most successful cases were Irish republicans fighting the British state - Thomas Ashe, killed during forcible feeding in Dublin in 1917, Terence MacSwiney, starved to death in London in 1920, and Bobby Sands, starved to death in Long Kesh in 1981. "These did not immediately bring concessions from the state. But they had a huge impact on the Irish public, both by shifting people towards Irish republicanism and by inflaming the emotions of those already committed to the cause. "They also undermined support for the British state's policy among a portion of the British public." In an international publicity coup, Sands was elected as an MP while on hunger strike and his funeral in Belfast was attended by at least 70,000 people. Biggs says the hunger strikes by suffragettes in Britain "similarly gained media attention and enhanced the commitment of supporters" but the vote came later and arguably owed more to women's service in World War I. How long can people last without food? If people eat no food but are drinking water, they can last up to 60 days. With no water, they could die within eight to 10 days. They would become so dehydrated their body would stop functioning. Once glucose, which is used to produce energy, is used up (in three to five days), the body goes to the fat stores for energy. Ketone bodies are produced as a result of fat breakdown and when they become too numerous in the blood stream they can become lethal. Once the fat stores have been depleted, the body will turn to muscle and vital organs such as the liver and heart for energy and the body simply wastes away. It will vary from person to person - those with more fat stores should last longer, while a hunger strike will aggravate any underlying health issues. Hunger strikers who take water, vitamins, glucose and salt, should last longer. Gandhi was a supreme practitioner of non-violent protest, he says, and the use of his methods by millions of Indians was very effective in undermining British rule in India. 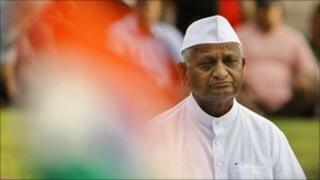 He says the current protest by Indian campaigner Anna Hazare, who went on hunger strike in April to demand stringent anti-corruption laws, is different because it is occurring outside prison. "While many people outside prison have gone on fasts for a time, it is almost unknown for someone to actually starve to death outside prison. "In prison, there's really no other means of protest. And in prison the government is clearly responsible for your life/death and so can be blamed if you die." Former IRA hunger striker Tommy McKearney says prisoners are limited in what they can do. "So many things in a prisoner's life are dictated by their captors. We had three years of protests and did everything we could think of to bring a resolution but we needed make or break action." The 58-year-old, who was serving time for the murder of part-time UDR soldier Stanley Adams, was part of the first wave of hunger strikers in 1980. They wanted the then Conservative government to give them back political prisoner status. He says there was no master plan, with a "hunger strike as the grandstand final flourish". "We didn't set out with the objective of dying but we were prepared to die. "People who do it have a deep commitment, it's not a game to be played with. Only the cause will get you through."